Miss Plus Size UK took place in the fabulous venue; The Mercure Hotel in Manchester on 19th September 2015. 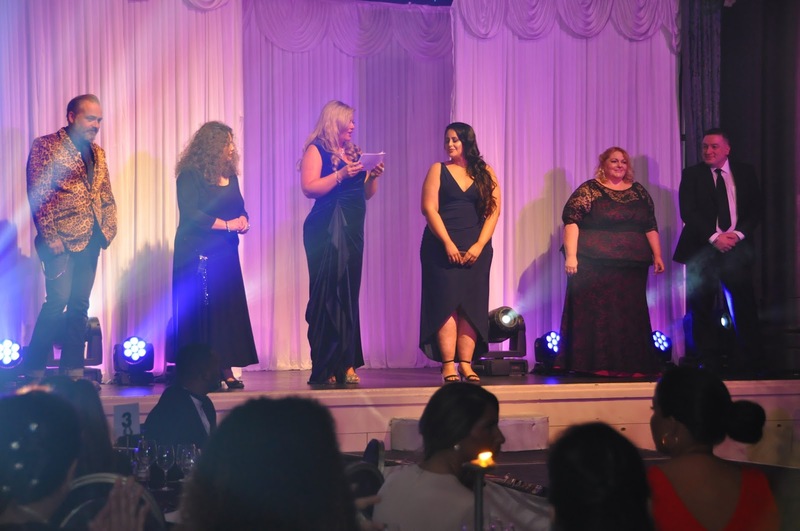 I attended in the capacity of a photographer/blogger, so I had the luxury of experiencing the excitement behind the scenes as well as the anticipation of the audience as they eagerly awaited the announcements of who would be crowned Miss Plus Size UK 2015. Backstage the vibe was buzzing, after a few rehearsals the contestants began their transformations from girl next door to beauty queen. Each girl had her own station and most came armed with a Hairstylist/MUA to help them look fabulous. The room was a mass of glitter, make-up, hairspray & chiffon! 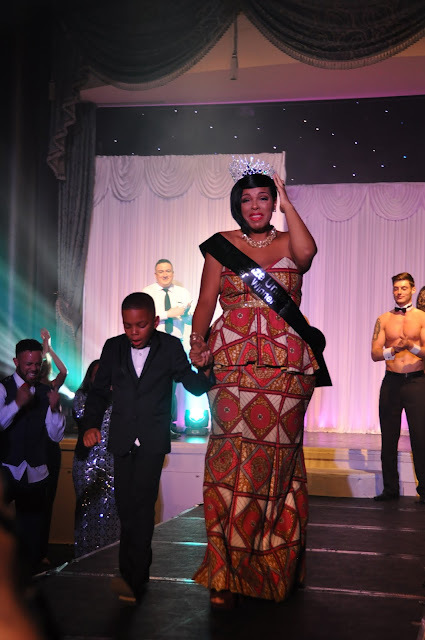 I was in pageant heaven! The ladies donned their fashion wear for the first round; Casual Wear. This was the round for each girl to portray their own style. Some girls wore pin-up style dresses whilst others went for a more casual look with pumps. This round in my opinion showcased the ladies in their most natural state. The round in which they looked the most comfortable and confident. 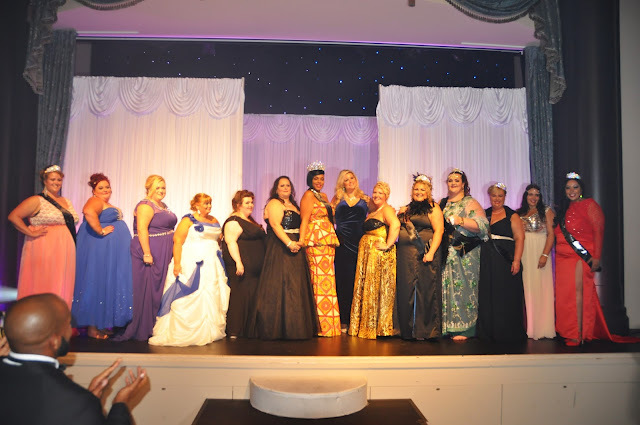 Each lady smiled and strutted with pride. 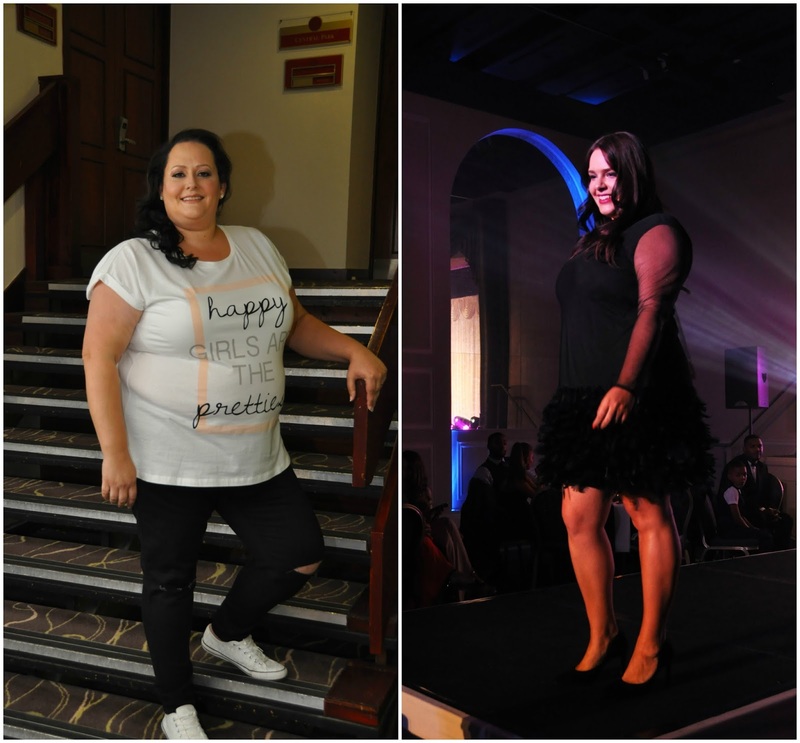 There was such a variety in this round; Helen looked relaxed yet stylish in her ripped jeans, converse & Simply Be Tee, whilst Kelly-Marie sauntered down the catwalk in a chic feathered dress from Elvi. 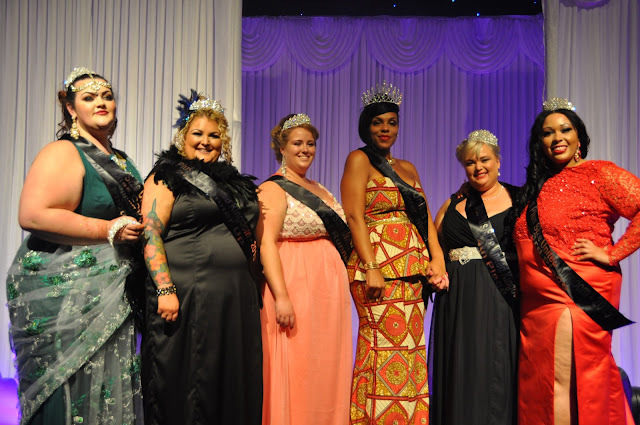 It was so refreshing to see women of all different shapes and sizes portrayed in this pageant. Starting from a size 18, I loved seeing women representing the larger end of plus size, up there flying the flag for all. These ladies did not come across as shy or insecure, these were big personalities; outgoing and confident women. 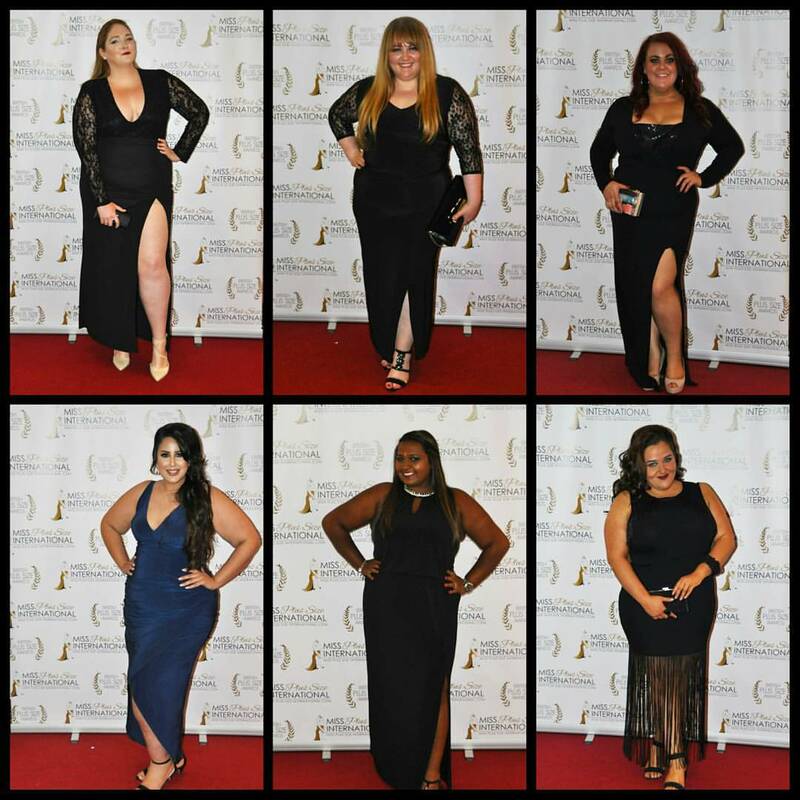 The swimwear round allowed the ladies to embrace all their curves and show that everybody is beautiful. Some women wore one pieces while others dared to bare more in bikinis. 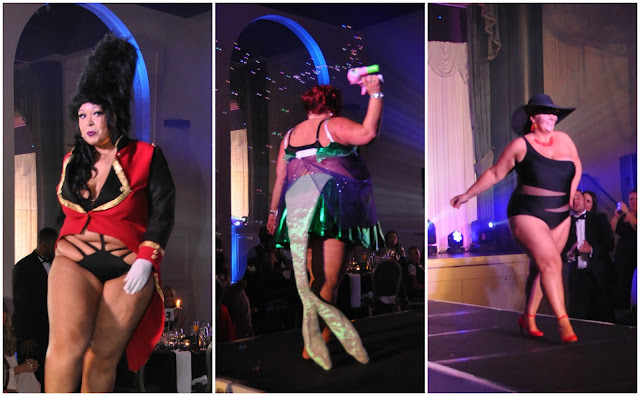 Three ladies stole the swimwear show for me; Leah as she powerfully took to the stage in a beefeater coat and hat along with her risqué swimwear, add to that her awesome dance moves topped off with the splits at the end of the catwalk & she stole my heart! Kim sauntered down the runway in a one shouldered one piece with mesh panelling. She teamed that with a floppy sun hat and killer red heels; she meant business and she looked absolutely banging!! Michelle, hand made her mermaid outfit and you could see that that was extremely proud of her creation and so she should be - it was fantastic! 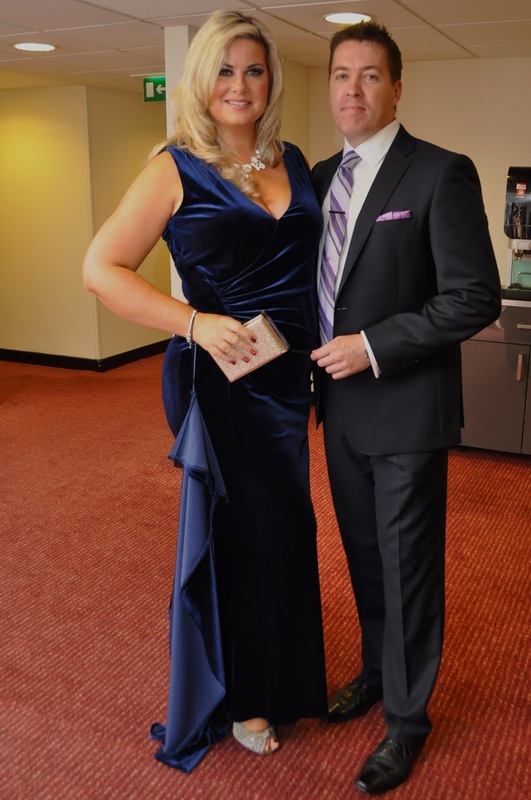 The final round was evening wear. This round offered an abundance of glitz and glamour. Every dress complimented the contestant, accentuating her figure and enhancing her beauty. 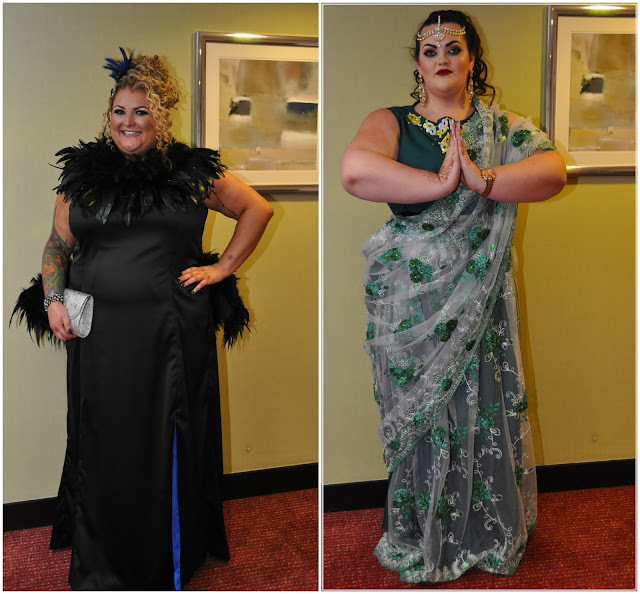 Each dress was a show-stopper and each lady beamed as she glided down the runway to a melody of "ooh's" and ahhh's" There were a few notable gowns which caught my attention; Roberta opted for an Indian themed sari type dress, in a beautiful shade of green. 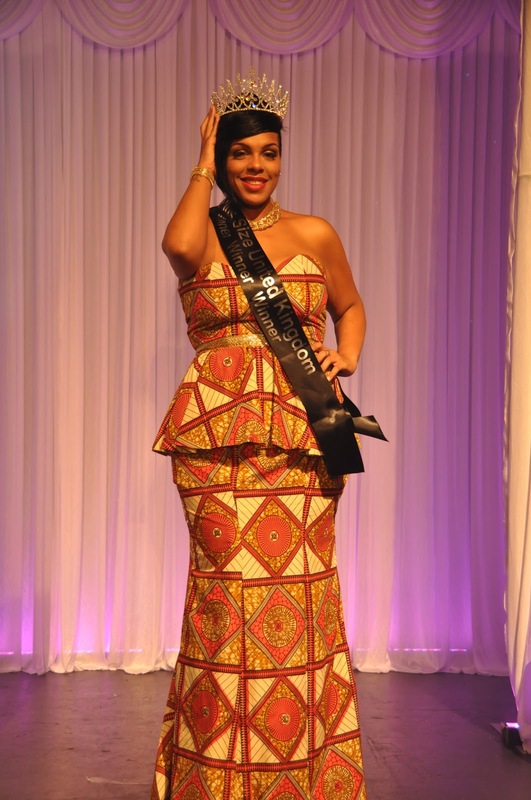 This outfit choice was unique and showed Roberta's versatility and ingenuity to step outside of the normal pageant box and try a different style. It was risky but it paid off. Jo's black gown had a rather unique element, it was quite "Black Swan"esque, complete with black feathers. She stood out from the crowd with that gown and had a radiant smile to match. 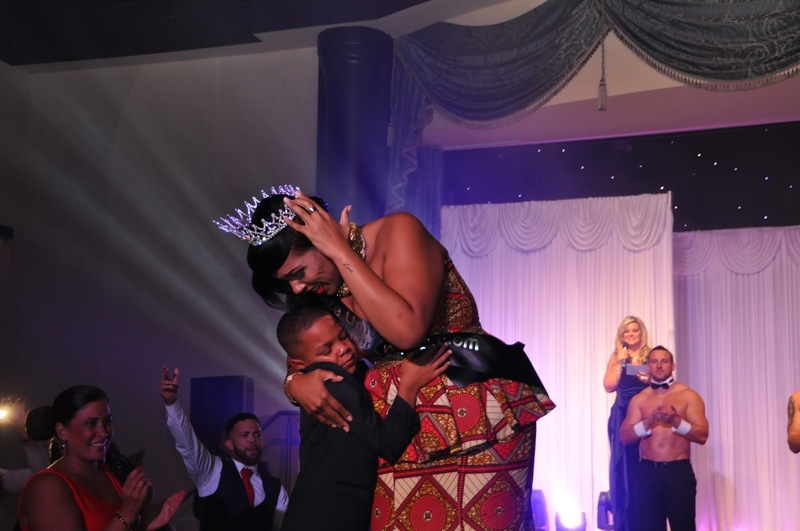 This round also gave the girls the chance to share what being the pageant meant to each of them. All gave heartfelt answers but Sophie, Elizabeth & Jodie's words touched home. The whole show was presented by statuesque beauty; Mary-Louise Chandler. She confidently compared the show, never seeming flustered by any last minute changes. A true professional. She looked sensational in her hand-made gown courtesy of Gifi Fields of Scarlett & Jo. The night was complimented by some fabulous entertainment; Blobby Williams (Tony James) No. 1 Robbie Williams tribute act, Amy Mottram (X Factor Contestant - who made it to judges houses in James Arthur's year), Singer, entertainer & sound technician extra-ordinaire; Joey James & Russell Jones (Britain's Got Talent contestant - member of Only Boys Aloud). The judges on the night; Linda Koch, Mark Singh, Bishamber Das, Nicky Rockets & Maria Bates even with their collective knowledge of what it takes to win a competition of this calibre, still must have found it insanely difficult to chose their winners. I do not envy that job. Every single woman on that stage deserved to win, there were no clear winners in my eyes, any one of those ladies could've landed that crown. I had even asked a few of the crowd & staff in the intervals if they had any favourites and not one person said the same girl. It was anyone's competition! When the winners were announced emotions ran high, there was a lot of supporters cheering proudly for their girls. All in all I had a fantastic evening and I would urge anyone who thinks that they would be interested in taking part to get in contact with Miss Plus Size UK - They will be accepting applications for Miss Plus Size United Kingdom 2016 from late October. You can email them at admin@missplussizeuk.co.uk for more info. Don't you look amazing!!!!! Loving all the shots and that beefeater coat is all of the hearts ... where do I get me one? It can be my new dressing gown.